Sifnos locals are inviting everyone to “Do it Like a Sifnian” and put plastic bags away once and for all. Come April 15, shops across the Cycladic isle will be charging 10 cents per bag in efforts to discourage their use and put environmentally friendlier material pouches into service instead. 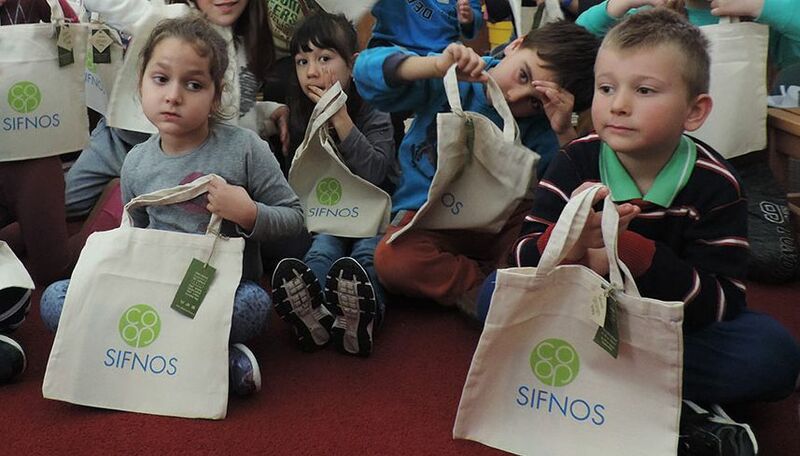 An initiative of the Sifnos Island Cooperative (SIC), which started in 2015 with awareness-raising programs at local schools and the distribution at a token price of multipurpose material bags, the “Do it Like a Sifnian” project is gaining ground winning over the trade industry among others. The island’s Association of Professionals and Traders and the municipality have joined the ongoing campaign, which includes school educational events, reaching out to local shop-owners and hosting community awareness happenings. In the meantime, the 100-member society which was founded in 2014 is also exploring ways to make Sifnos self-sufficient in terms of energy aiming to tap into renewable energy sources such as the wind and the sea water.